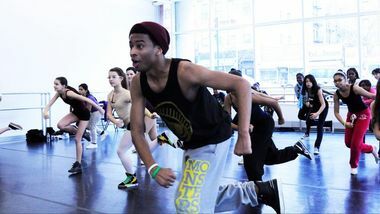 Keith Alexander, native of Virginia, first fell in love with dance at a young age watching the music videos of Janet Jackson and other pop stars. He would intensely study all the dances, and then promptly teach them to all of his friends at school. Keith went on to study acting at Virginia Commonwealth University where movement would find its way back into his life through his acute studies of the Grotowski Method with fight and movement master David Leong. 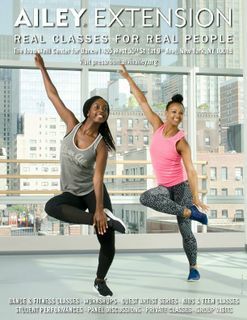 Keith later found his way to Chicago where he immersed himself in the dance culture. In the Windy City he trained with Lisa Johnson-Willingham, Trey Turner, Karlo Familara, Angelina Grima, Miguel Antonio, Kevin Maher, Luam, Popping Pete. Keith was a company member of the Willingham Project and Design Dance Co.
Keith Joined the Extension faculty in 2011, and co-created the very successful Hip Hop 4 Kids workshop, as well as the first ever Teen Extension Performance Class. Since moving to New York, he has worked with Hip Hop Public Health, Songs for a Healthier America, Hype break dance work out Video, the Dr. OZ show, and choreographed for the New York Department of Education, hip-hop legend Doug E. Fresh, and New York Knicks Iman Shumpert.